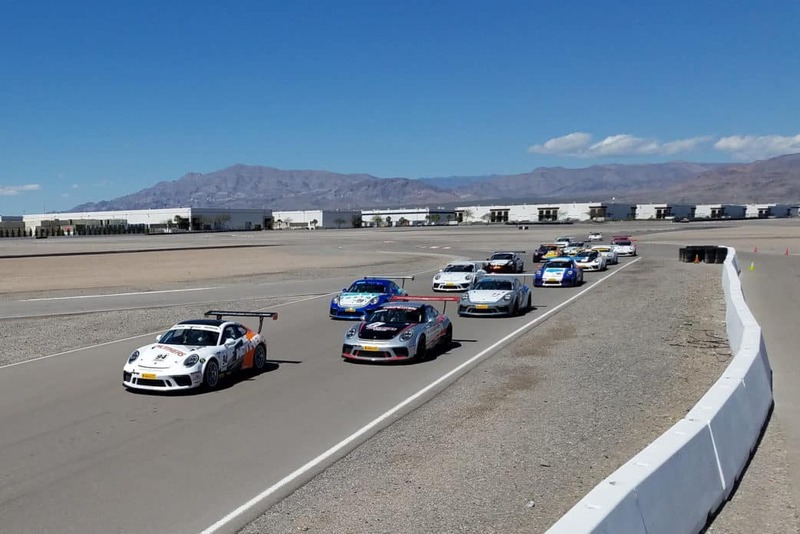 NEWPORT BEACH, Calif. (1 May 2018) – The Pirelli Trophy West USA series heads to Utah Motorsports Campus (UMC) this weekend for the third of eight rounds that comprise the 2018 championship for the Porsche one-make platform. The series will utilize the 3.048-mile, 15-turn outer road course at the multi-purpose track located in Tooele, Utah, 30 minutes from Salt Lake City. Formerly known as Miller Motorsports Park, UMC was designed by Alan Wilson and hosts numerous amateur and professional racing events throughout the season. With corner names like “Right Hook,” “Knock Out,” and “Gotcha,” the outer circuit is one of the fastest road courses in North America. Once again, the series will split the field of over 30 Porsche GT3 and GT4 Cup Cars, with two races for each on Saturday and Sunday. Diamond and Diamond Masters (2017-2018 991.2 GT3 Cup), Platinum (2015-16 991.1 GT3 Cup) and Gold (2010-2013 997.2 GT3 Cup) will compete in their own set of races, with Silver (Cayman Clubsport GT4 MR) and Bronze (2016 Cayman Clubsport GT4 Trophy) classes contesting a separate pair of events. The highlights have been plentiful in the first four races of the season, on the road course at Las Vegas Motor Speedway and the wide-open spaces of The Thermal Club near Palm Springs, California. The championship battle in the premier Diamond Class is tight between 911 Design’s Loren Beggs and TruSpeed Autosport’s Kevin Woods, with Beggs holding a mere five-point lead over Woods. Equally close is the Bronze class title chase, with Competition Motorsports’ Carl Tofflemire and Black Sheep Racing’s Laura Ely splitting the four victories and enjoying four races of nearly non-stop, wing-to-splitter action. Meanwhile, a pair of drivers under the banner of Bob Faieta’s Competition Motorsports have separated themselves from the competition, as Michael Zuieback (Diamond Masters) and Sean McAlister (Platinum) have earned victories in each of the first four races of the season. The desert road course at UMC holds good memories for several class point leaders, including Diamond class points leader Beggs. Driving for 911 Design, Beggs won both races in the first event at UMC on his way to the championship title last season, and has a victory and three second-place finishes to start 2018. 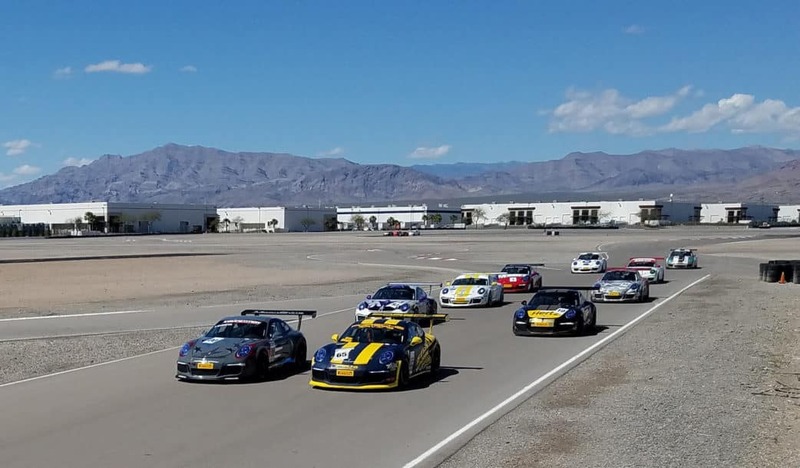 Sean McAlister, behind the wheel of the Competition Motorsports 991.1 Cup Car, has swept the first four races of the year, even taking his Platinum Class Porsche to the front of the field two weeks ago at The Thermal Club for the overall victory. But McAlister will have stiff competition from TruSpeed Autosport’s Ray Shahi, who swept both events at UMC last season and sits in second position in the championship. 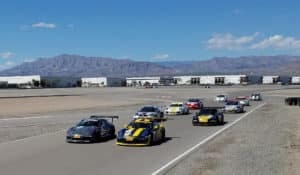 Competent Motorsport, owner of the Pirelli Trophy West USA, works constantly to provide assistance to the racers, providing professional coaching as well as promoter test days designed to develop race craft. The series also integrates a new driver seminar to make sure that those who join the paddock have a smooth transition to the competitive series. In addition to the on-track activity at UMC, series officials have scheduled two value-added opportunities for the Porsche racers: Concussion Baseline Testing using the mTBI (mild Traumatic Brain Injury) program, as developed by series driver Preston Calvert M.D., and a seminar on the use of the Cosworth Dash and Data System utilized in the 991.1 and 991.2 GT3 Cup cars.